This week is Child Passenger Safety Week and Saturday (9/21) is Seat Check Saturday. It is so important to be educated on what the best ways to secure your children are. Although there are many schools of thought it is important to keep the guidelines in place to keep our little ones safe on the road. Julie Vallese, Consumer Safety Expert for Safety 1st talks about car seat safety. The proper use of car seats can help limit risk in the event of a crash, but statistics show that 75% of car seats are installed incorrectly. Check in and make sure your child is riding safe with these helpful tips. Below are some car seat safety tips From Julie Vallese, Safety 1st Consumer Safety Expert. Our little ones count on us to be safe on the road. Always remember to use the right car seat for them, check for expiration dates and most important stay up to date with the latest studies in keeping our little ones safe on the road! Thanks to Safety 1st for all this valuable information! Heya my business is with the major time period in this article. I ran across this panel so i think it is genuinely helpful & them solved the problem available a good deal. I am hoping to make available some thing just as before and enable other folks just like you assisted myself. Prior to having my daughter I never knew about car seats having an expiration date! This is a wonderful resource! Thank you for sharing. It is SO important to make sure your child is safe in the car! Wow, 75% of seats are placed wrong. When we put our seat in January we will have it checked to make sure it is in correctly. Also check dates to make sure they haven’t expired! 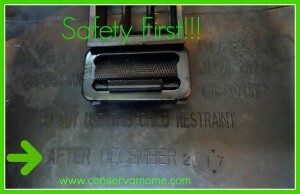 Wonderful post about keeping car seat safety fresh in people’s minds. It is so important and often can be misleading. I like that organizations now host days where they will check your car seat to make sure it is installed properly. These tips are [email protected] The video is very important to watch. These tips are crucial considering the number of infants injured in car accidents. This is a great post. Something to really think about! So grateful for this information. A lot of my friends practice poor car seat safety 🙁 I’ll have to share. Web site am certain that you are aware one-way links are the step to better search rankings take a look at use a tool which can generate great supply of high quality backlinks from your numerous several platforms? No Hands SEO will be the easiest back-linking tool ever built and can operate in may vary as you add happy to your internet site. Thanks for creating this great resource! I’ll pass it on to expectant parents who don’t know! I did not know this was child passenger safety week. Thank you for these tips, I will share them. I’m so Glad that more people are speaking out about carseat safety. To see parents doing extended rear facing (keeping their kids safest) is awesome! Great reminder to check expiration dates of car seats… just checked my 7 year old’s booster and it expires at the end of the year. Time to shop for a new one! Wow, I had no idea that children were supposed to stay rear facing for so long. Or that there was an actual expiration date. Thank you for sharing this information. Thanks for the post! I was really hesitant to move my son to forward facing.. but I did it. He is 32lbs, not quite two, sometimes I wish I hadn’t but he likes it better. This is great info! I can’t believe how many people don’t know this! Keep in mind, the recommendation ‘until they are 2’, which seems to indicate babies should be turned forward facing at 2. Instead it’s that they should be turned around at 2 at the EARLIEST. If your seat does not accommodate your 2 year old rear-facing, The best thing to do is to get a convertible that WILL. 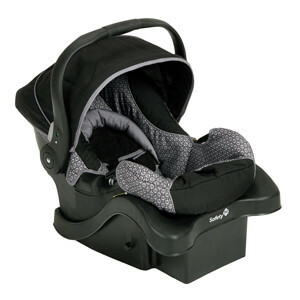 These days, there are seats as cheap as $40 that rear-face to 30lbs, which should hold every baby at least until 2. The studies recommend waiting until at least 4 before forward facing if you can manage it, since their head to body ratio begins to be more proportional at that time, and they are less likely to suffer internal decapitation (a severe whiplash that breaks their backbone.) And don’t forget the big kids! Harness at least until 4-6, booster until 4’9-4’11”. Lots of good information here, especially being sure the carseat is properly installed along with rear facing until the age of 2. Most people don’t seem to know that. Thank you for the review and safety tips. Great tips for car seat safety! I’m just looking in to everything now with baby #1 due in December. I’m glad there is awareness about all this!